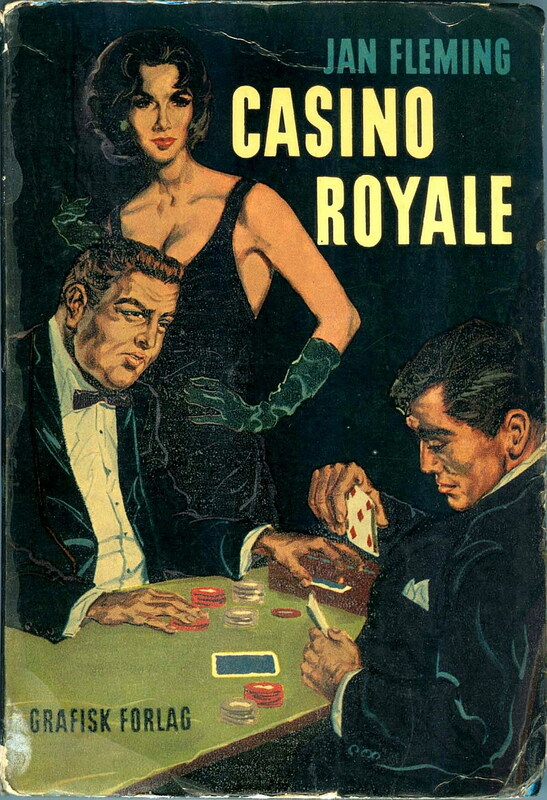 Ian Fleming's seventh James Bond novel was the fifth to be published in Danish. The title roughly translates as "Death can wait". The author's byline on the cover has been danicized into "Jan Fleming". Only one of the 27 James Bond 007 film adaptations (to date) is set around Christmas. 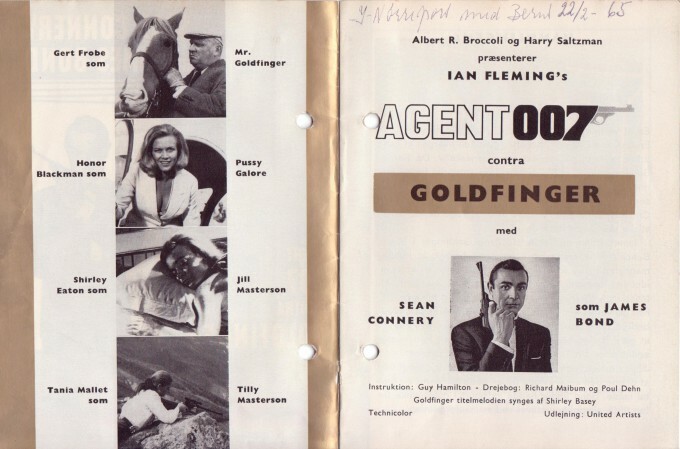 Only this James Bond film contains a newly-composed Christmas song written by John Barry and Hal David. Only this James Bond tune was originally recorded by a Danish vocalist. The Christmas song "Do You Know How Christmas Trees are Grown?" appears as source music in the film version of "On Her Majesty's Secret Service" (EON Productions 1969). The track, arranged by John Barry, is sung by Danish singer/actress Nina van Pallandt and an unnamed children's choir. Phil Ramone is credited as producer of the session which took place at CTS Studios in London. "I think it's the only time, with John, that I wrote the lyric first". This 15 second TV spot for EON Productions' James Bond 007 film "Licence to Kill" aired on TV 2 Denmark in July 1989. The speak was done by Kim Schumacher, a well-known Danish DJ, radio host and film translator. Kim Schumacher translated "Licence to Kill" and the previous Bond film, "The Living Daylights", into Danish for the cinema release. 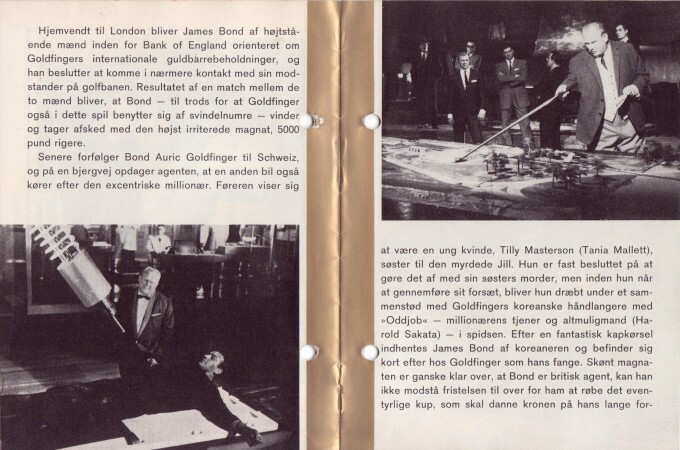 Ian Fleming's third James Bond novel, "Moonraker", was the fourth to be published in Danish. 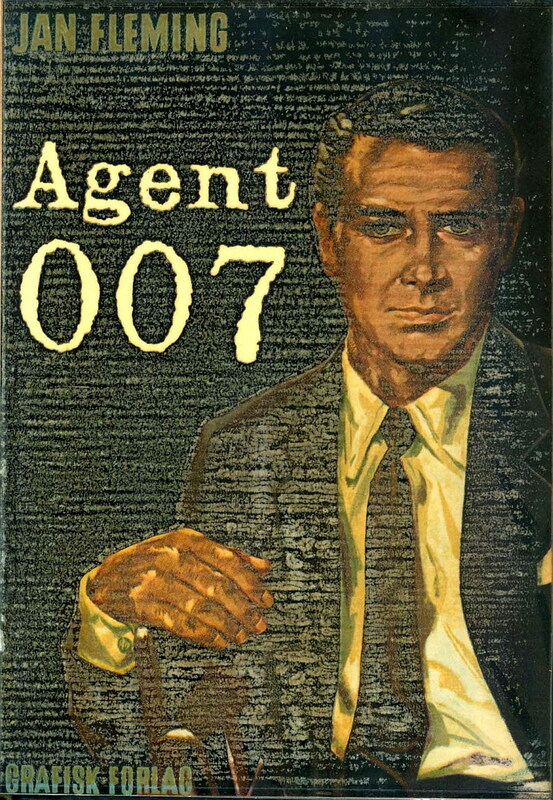 Adding to the confusion, the book was simply titled "Agent 007" in Denmark. The author's byline on the cover has been danicized into "Jan Fleming". 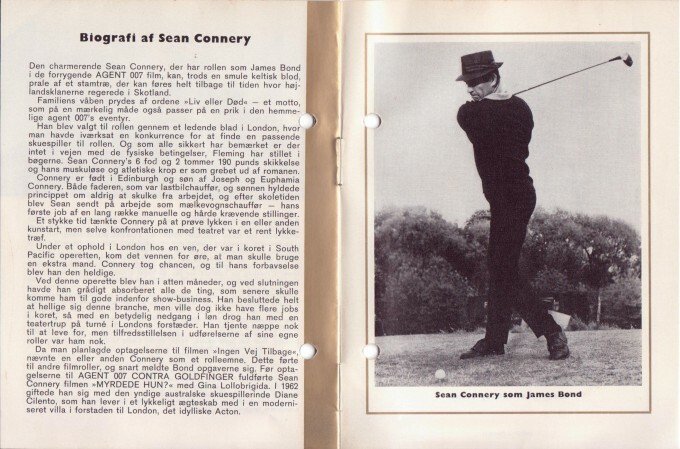 On the early editions from Grafisk forlag, the cover was coated with a film that unfortunately deteriorates with age, hence the faded blacks in the image above. 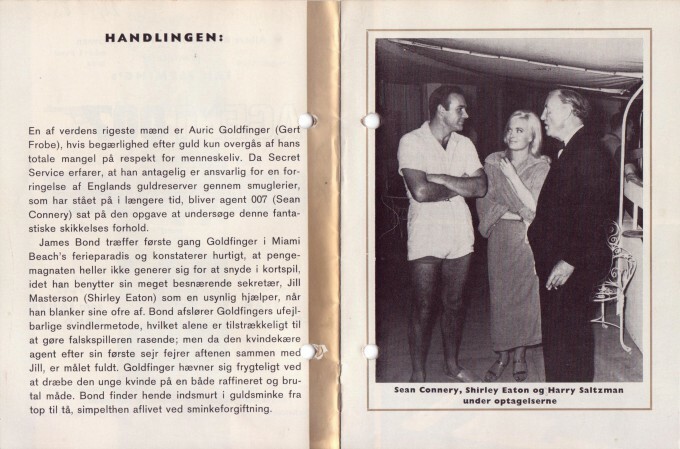 This 16 page souvenir programme printed with golden spot colour was available to the public in Danish cinemas showing "Goldfinger" in 1964-1965. 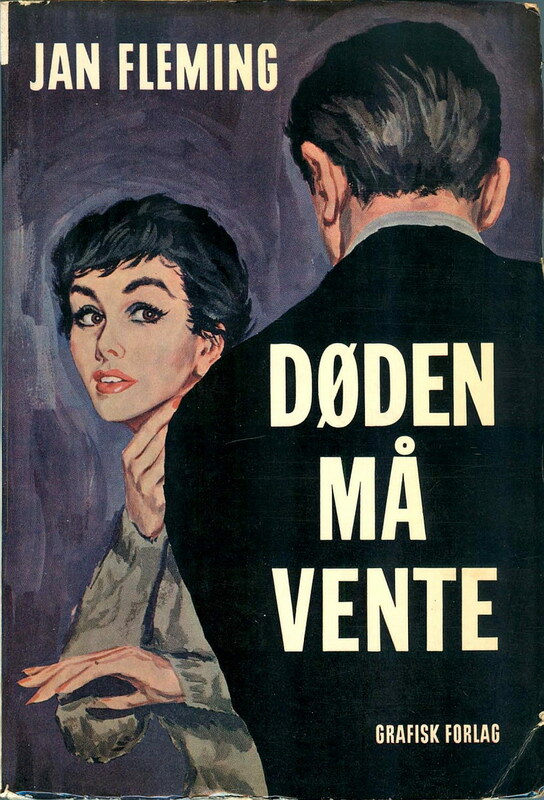 Ian Fleming's first James Bond novel was the third to be published in Danish. The author's byline on the cover has been danicized into "Jan Fleming". 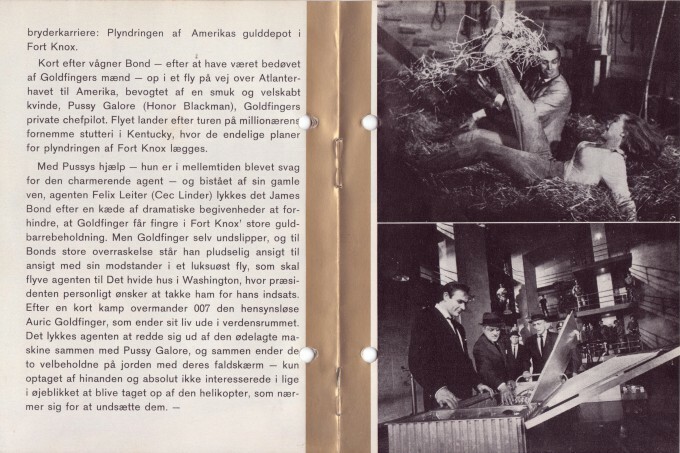 In the summer of 1989, a 15 minute special called "Mit navn er Bond ... James Bond" (My name is Bond ... James Bond) was broadcast on TV 2 Denmark. 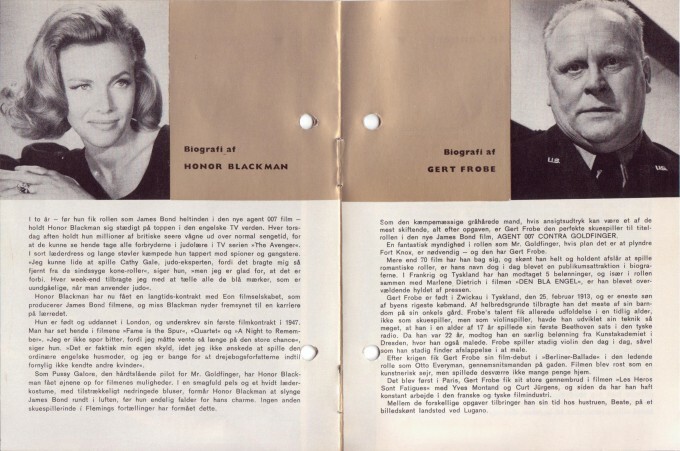 The show featured interviews with three of the principal actors from the James Bond 007 film "Licence to Kill", which premiered in Denmark on 7 July 1989. Timothy Dalton (James Bond 007), Talisa Soto (Lupe Lamora) and Desmond Llewelyn (Q) each recorded a brief station ID for the special. These were broadcast on TV 2 in the days leading up to the show. Desmond Llewelyn's notoriously bad memory leads to a blooper at the end of his segment, and while the inclusion of Llewelyn's gaffe might seem slightly unfair towards the elderly gent, it is quite amusing nonetheless. The special itself, Mit navn er Bond ... James Bond", will be uploaded to James Bond•O•Rama's Vimeo page soon.